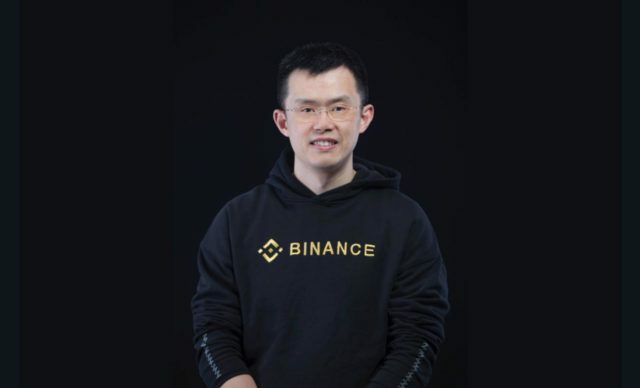 The CEO of cryptocurrency exchange Binance has threatened to remove support for altcoin Bitcoin SV after its creator threatened to sue a member of the Bitcoin community. In a tweet April 11, Changpeng Zhao joined the growing list of crypto industry figures to side against Craig Wright after he announced he was suing a user of the social media platform, Hodlonaut, for libel. Hodlonaut, who became well known in his own right this year as the creator of the Lightning Torch Bitcoin transaction relay, deleted his Twitter account when Wright’s threat surfaced. Since then, Wright has offered a bounty of 70 BSV tokens ($5000) to anyone who can ‘dox’ Hodlonaut, revealing his real identity or other personal information. This, it is assumed, makes it all the more difficult for Wright and his followers to harass users who criticize their claims. Wright, already notorious for his own social media outbursts, maintains that he is the creator of Bitcoin, Satoshi Nakamoto. BSV 00 has crashed in the days since Wright publicly announced the court proceedings and bounty. At press time, the token was trading down almost 8 percent in 24 hours, taking its weekly losses to more than 20 percent. Since the bounty announcement, the contents of Wright’s letter to Hodlonaut have trickled online. The letter’s contents, allegedly from a UK-based law firm, contain highly-suspicious language of an almost deliberately fake nature, mirroring some of Wright’s own language. I was wrong to allege Craig Wright fraudulently claimed to be Satoshi. I accept he is Satoshi. I am sorry Dr. Wright. I will not repeat this libel. Meanwhile, efforts from elsewhere in Bitcoin continue to surface, chiefly from ‘What Bitcoin Did’ podcast host Peter McCormack, who openly invited BSV proponents to sue him as well as Hodlonaut. Others openly denounced Wright, who himself currently faces a minimum $5 billion lawsuit over alleged theft of huge amounts of Bitcoin from a former business partner. The Bitcoin SV blockchain now contains at least one transaction with the message ‘Craig Wright is a fraud’ forever embedded inside. For BSV traders, however, any outcome was preferable to the week’s losses. A screenshot of a dedicated Telegram group showed hopeful bagholders querying whether Binance delisting the token might in fact be “bullish” for its price, presumably thanks to increased publicity. Yet, for its creator, increased publicity has so far failed to achieve the desired effect. Should Changpeng Zhao delist BSV? Let us know in the comments below!